This entry was posted in Botany, Food, Fruit, Gardening, Horticulture, Plant, Recipe, Tree and tagged Apple, Berry, Calgary, cooking, fruit, Home, Jams Jellies and Preserves, Sea buckthorn. Bookmark the permalink. Sounds delicious! We don’t have sea buckthorn here, but sometimes we make crabapple jelly. Crabapple jelly is wonderful! Such a beautiful colour and flavour as well! Yum! 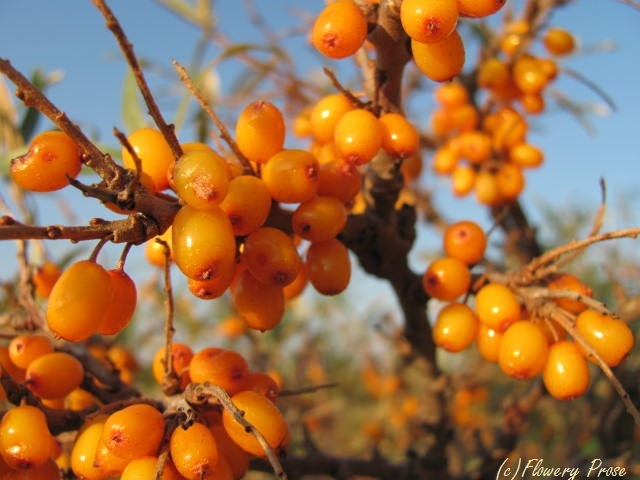 I’ve never seen sea buckthorn, nor tried buckthorn jelly, but I have heard the berries taste very good! They are fantastic! Highly recommended if you can get ahold of some! Interesting berry by the sound of things. It looks quite colourful for a berry, not to mention the jelly. Well done and enjoy the “fruits” of your labour – pun intended of course! Hee hee. Thanks, Kathy! The berries really are beautiful, such a vibrant orange colour! Matches the taste perfectly! How very lucky to have this precious jewel growing wild…we pay lots to get the oil here…amazing health benefits! I was so excited to see your post about Sea Buckthorn! I bought some seeds to try and grow some of my own but was wondering how they would do where we live. We live on pure sand. It’s good to hear that it’s “tough-as-nails”. 🙂 Now I can hardly wait to start them in the spring. I wonder how long it will take to get any berries. Your jelly recipe sounds delicious (and very pretty)! I’m going to have to print it out for when we get our berries! I’m a Swiss living in Nebraska, USA. I’m familiar with this wonderful berry growing well in Northern German. I don’t think they would grow here. I’m trying to find where I could find jam or jelly made in Canada. I’m afraid I’m not sure where you can purchase food products made from sea buckthorn here in Canada – you can get some medicinal products in certain health food stores, but not jams or jellies. It’s not a very common food product just yet, though I think more people are becoming aware of how delicious and healthy it is. I did a Google search and didn’t come up with anything concrete. I’m so sorry I can’t help more. That was my own experience, that is all I could find online. As you said I hope someone out there can make some money by producing these healthy and yummy preservatives. I don’t usually reblog posts (my own or otherwise) on Flowery Prose, but sea buckthorn are now ready to harvest here in western Canada and I thought it might be appropriate to share a recipe in which to use them! Have you ever eaten sea buckthorn berries? Hmmmm……you might be on to a winner! I have read that you can get all sorts of skin creams etc. made of the oil of the berries…I will look for some (someone must be making them here in Canada!). I think perhaps in Europe sea buckthorn is much more widely known than in North America and people there have been enjoying it for many more years than we have. Sheryl, the color of your jelly is amazing. 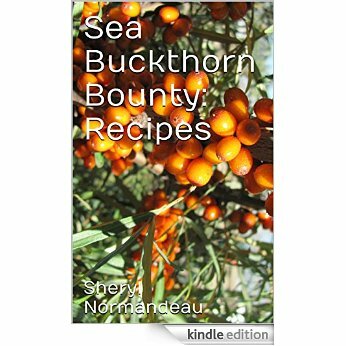 I have heard of Sea Buckthorn, but don’t know much about it. Apparently it will grow here in South Texas (I found an article talking about it growing in Austin, TX – zone 8 I think). I need to check it out. I just adore that bright citrus colour, too! I suspect you may be able to grow sea buckthorn where you live…it seems to be very widely distributed and it can tolerate a huge range of soil types and climates. I am growing sea buckthorn in PNW, you need to have female and male to have berries. Berries are very sour, I can’t eat them just from garden. I juice them and make oil from leftovers. This year I made jam and we all like it. They’re really juicy and have a big citrusy tang – they’re not overly sour, but they’re not sweet, either. I’ve juiced them, too, and they’re really yummy. Sounds lovely! I had some home made apple jelly this morning (not mine!) on french toast (mine!) and it was a bit watery but delicious with all sorts of grape and pear flavours in it (even though it was only made with apples) and I thought it would go well on so many things, from toast to chicken to eggs! What do you recommend eating this jelly with? I love apple jelly as well! I don’t make it very often, however – something I ought to rectify in the future. 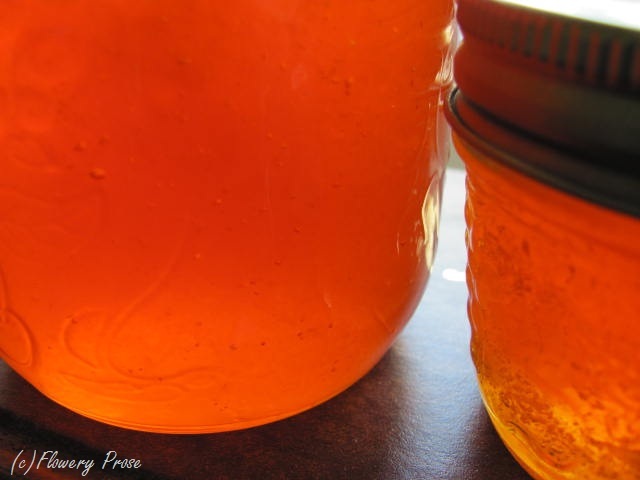 While I’d tend to pair apple jelly with sweet breads or cakes, sea buckthorn jelly has a bit of a tangy, citrusy taste and would go well with both sweet and savoury breads, biscuits, scones, crackers, etc.. I wouldn’t hesitate to pair it up with chicken or fish as well (I sometimes glaze meat with marmalade, and sea buckthorn jelly would be a good substitute for that. For that matter, you could use apple jelly as well). Thanks so much for stopping by and dropping me a line, I appreciate it! I’ve never seen sea buckthorn or even sea buckthorn berry oil, but I’ve a bit of study about its juice tasty and its pharmaceutical properties. As far I know it has been used for centuries mainly in northwest asia and Europe juice from sea buckthorn berries is a very popular drink in many parts of Asia and Europe. I found in a blog post that sea buckthorns contains about more than 190 nutrients including vitamin, high protein and organic acids. Thanks a lot Sheryl and all commentator for such informative discussion, I will must try to manage some sea buckthorns as well. I have recently moved to Finland and wondered at these beautiful berry bushes growing wild along the coastline. I researched and have now made two small batches of jelly from your recipe! Thanks for your help! Could I still gather sea buckthorn now? If not, when is it best to forage? Any particular roads you recommend in Calgary? I’m so stoked this is available around here!!! Hi, Jody, thanks so much for your comment! No – you wouldn’t want to pick sea buckthorn berries now, as they will have fermented on the shrubs. The best time to pick it is in late August, early September. There are many plantings of sea buckthorn in the city – look for plantings anywhere there are slopes near overpasses, parks etc. (the City uses it for erosion control). You may need to get permission to pick, depending on the place you go. If you plan to urban forage, try not to pick produce from highly polluted areas and give the berries a really good scrub! Have fun gathering sea buckthorn berries next year! Thanks so much for the suggestions, Sheryl! I aim to do this in a few months. that is such a gorgeous orange color, very warm and inviting. I collected autumn olive berries today, from an invasive shrub that pops up everywhere and then grows very quickly. Most people don’t know that the berries are edible, highly nutritious and make a great jelly and juice. I have never seen buckthorn here in VA; it must be a shrub accustomed to the Northern climate? The autumn olive berries sound fantastic! 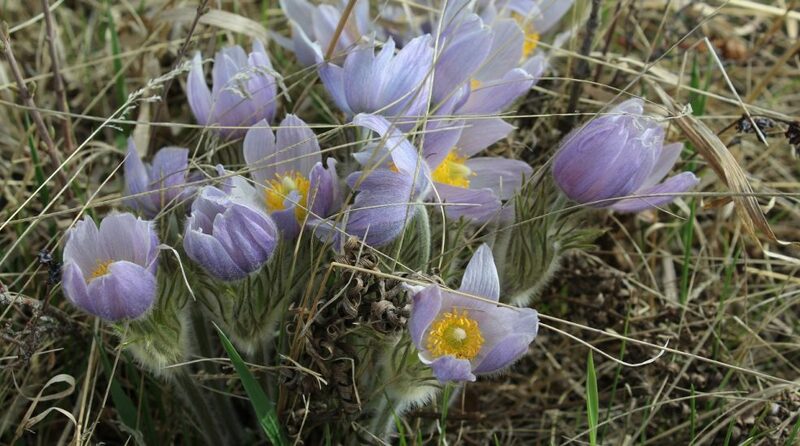 I’ve never seen them here, but I know they’re on the prohibited noxious list in Alberta’s Weed Control Act, so I’m assuming they’re fairly under control. Sea buckthorn does indeed perform well in cold climates – it’s very common in places like Russia and China and parts of India. It’s pretty adaptable, though. Glad to hear from you, and delighted that my post could be helpful! Thanks for letting me know how your harvesting and jelly-making went as well! How talented you are! Do you literally collect the berries from the plants you find in the wild? I have heard that there are many edible plants in the city but am not confident that I’d pick the right ones!